Hello beauties, I’m back! Thank you for your patience while I took an unplanned break — it was very much needed! For today I’m really excited to share with you this new series that I will be starting this year — a one-brand ‘face of the day’ and review! 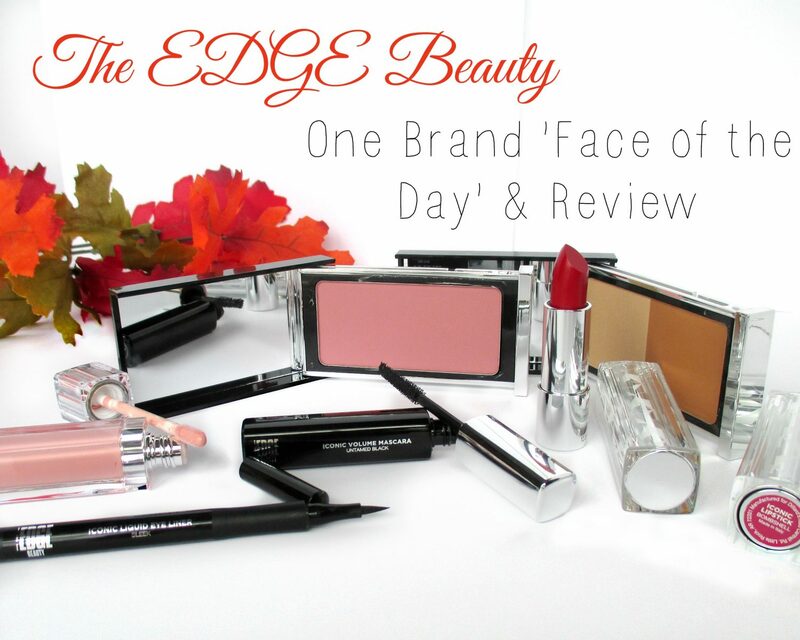 For my very first one-brand #FOTD and review we’ll be checking out Dillard’s new makeup brand, The EDGE Beauty! For those of you who weren’t aware of it, Dillards recently released their own makeup brand called EDGE Beauty! This makeup line is all about making you look and feel great and their products stand out because of their fun and unique packaging. During my time testing these products, I’ve never had so much fun opening products to use them! I’m only going to be talking about the EDGE Beauty products that I used — my foundation, setting powder and brow powder are from a different brand. EYES: Once my foundation was applied and set, I began doing my eyes using the Iconic Bronzer duo. Using the highlight shade all over my eyes and the bronzer shade I lightly blended into my crease. I didn’t want anything major for my eyeshadow since this eye look was all about that winged liner which I did using their Iconic Liquid Liner. 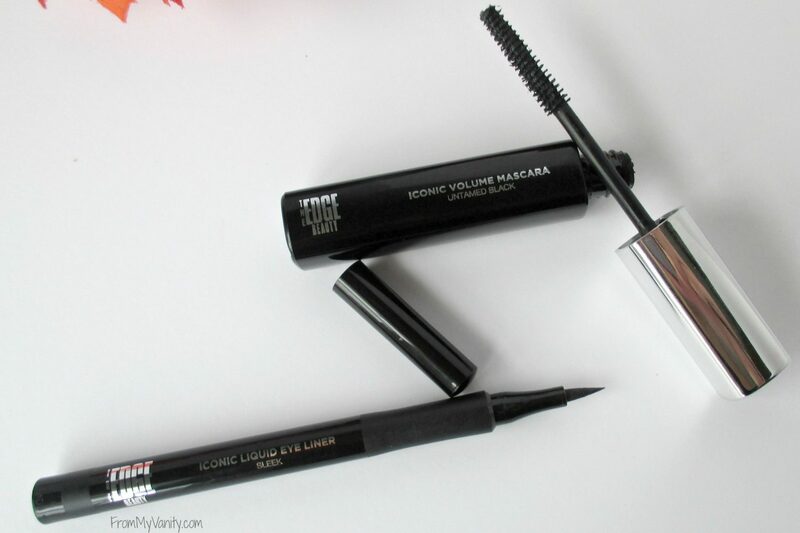 Once it was as fierce and sharp as I wanted, I finished with their Iconic Volume Mascara. FACE: The Iconic Bronzer was the perfect shade to warm up my complexion. 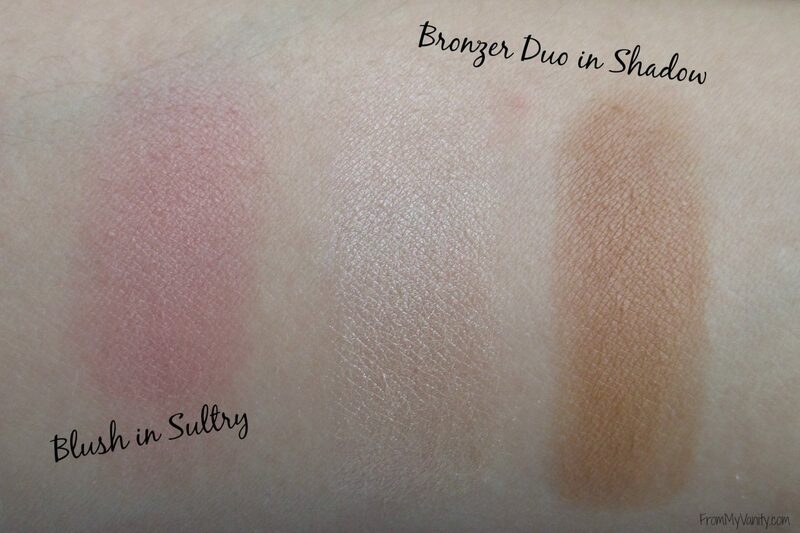 Using their Iconic Blush lightly, I gave myself a little color before finishing it off with the highlighting color that comes in the bronzer duo. LIPS: These Iconic Lipsticks are SO vibrant! Both were beautiful statement lipsticks and after a few minutes contemplating, I ended up going with the color Fierce. And I think it’s rightly named! Iconic Lip Gloss in Illuminate — $18 — I think this lip gloss in now the most pigmented lip gloss that I own, and I love it! I, personally, don’t really care for lip gloss because they usually are so sheer, I don’t see the point. But with this lip gloss, I find that I can wear this by itself and it gives me a beautiful, natural wash of color on my lips. For those who are sensitive to smells, these do have a scent to them…and not entirely a nice one. It’s kind of a sweet scent, but there’s also a chemically scent to them. Thankfully I never smell it once applied to my lips. Iconic Lipstick in Fierce and Bombshell — $20 — If you want lipsticks that go on very opaque and pigmented, these lipsticks are the way to go. One swipe gives me full-on color, I love it! They’re very glossy and moisturizing and feel great on the lips. These also have a sweet scent to them, reminds me of cotton candy. 🙂 I would recommend that you wear these with a lip liner underneath to keep them from bleeding. Okay, now lets talk about the packaging! 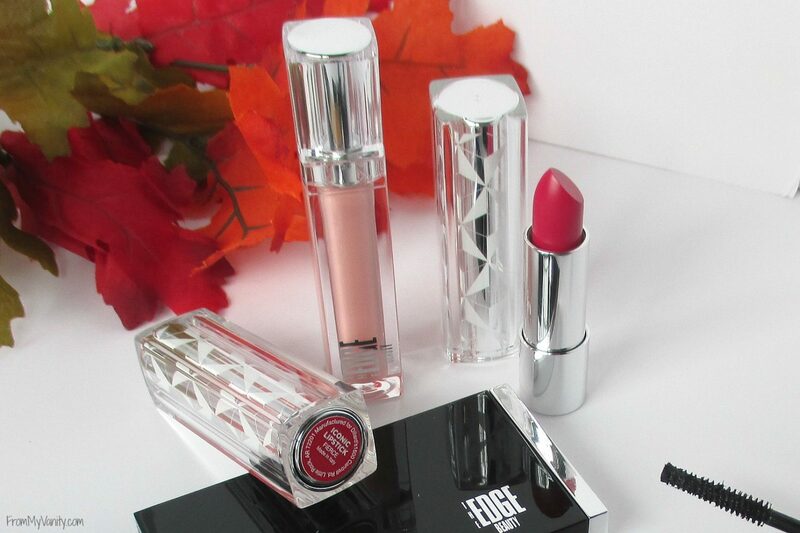 Because their packaging for these lipsticks are the bomb dot com! 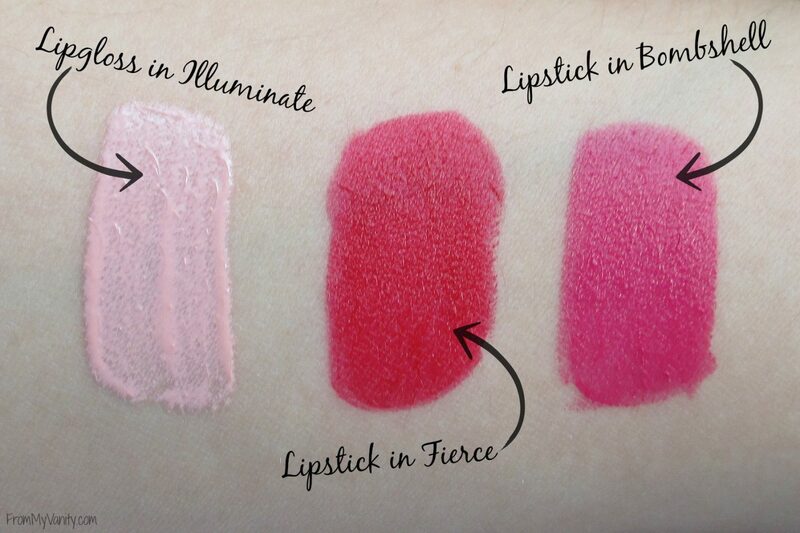 It would be very difficult for me to explain it to you…so here’s a collage so you can see how these lipsticks open. Iconic Liquid Eye Liner in Sleek — $16 — You know I love my winged eyeliner, so I was most excited about this item. The color I got was in black, but it’s not the most intense black I’ve ever seen. With that said, once you apply it and it sets, it doesn’t budge. I’m personally not a fan of this type of pen eyeliner (I prefer my gel eyeliner pots and a brush), so I wasn’t a fan of this product. Iconic Volume Mascara in Untamed Black — $18 — This mascara is good. It gave me good volume in my lashes, didn’t flake throughout the day…but it just didn’t wow me as much as I had hoped. It also didn’t give me as much length in my lashes, which is what I like for my mascaras. Iconic Bronzer/Highlighter in Shadow — $22 — This bronzer and highlighter is my favorite item out of all these products! The bronzer works perfectly for my skintone and the highlight is beautiful. I never like a strong highlight — I prefer a more natural, barely there glow — and this gives me exactly that. If you like natural makeup, than I highly recommend you adding this product to your collection! 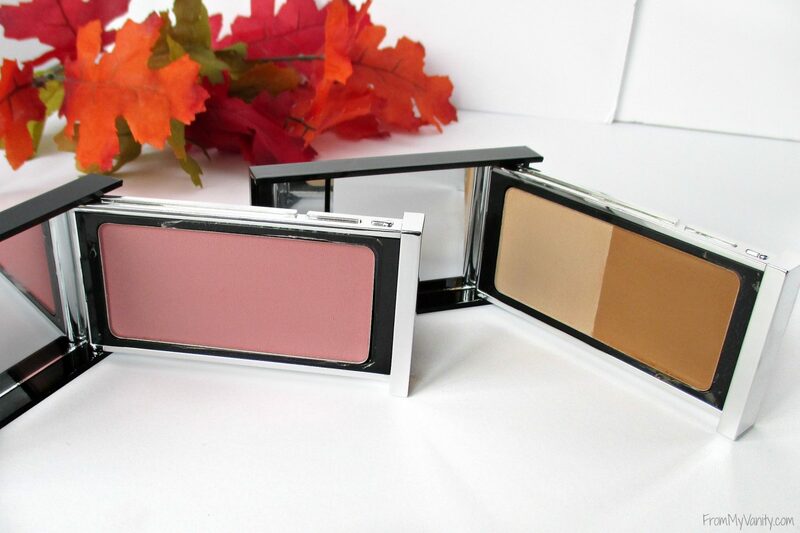 Iconic Blush in Sultry — $22 — This blush is really pretty, though not the most pigmented blush that I own. Which might be nice to have if you tend to go heavy-handed with your makeup. It wasn’t hard to build this color up to the pigmentation that I wanted on my cheeks, either – and it’s easier to build up than have to try to buff away too heavy an application! And, of course, we have to talk about the fun packaging again! 😉 Both the blush and bronzer/highlighter duo open like this. Isn’t that cool? Please tell me I’m not the only one who’s getting such a kick out of the packaging?! Now I’d love to hear from YOU! Have you heard and/or checked out this brand yet? What have you tried? Or what do you want to try? Let me know in the comments below! I received the products mentioned above as PR samples. It was not required that I feature them on my blog. All thoughts are 100% my own. Some affiliate links were used. Thank you for your support! I reviewed the shade Provocative last week, and I just received a bunch of eyeliner pencils and mascara. It is so cool to see all the products that you have. The lipstick shade is absolutely stunning and your wing is perfection. I think The Edge Beauty makes great makeup! Fun packaging wins every time. I love this tutorial and review! 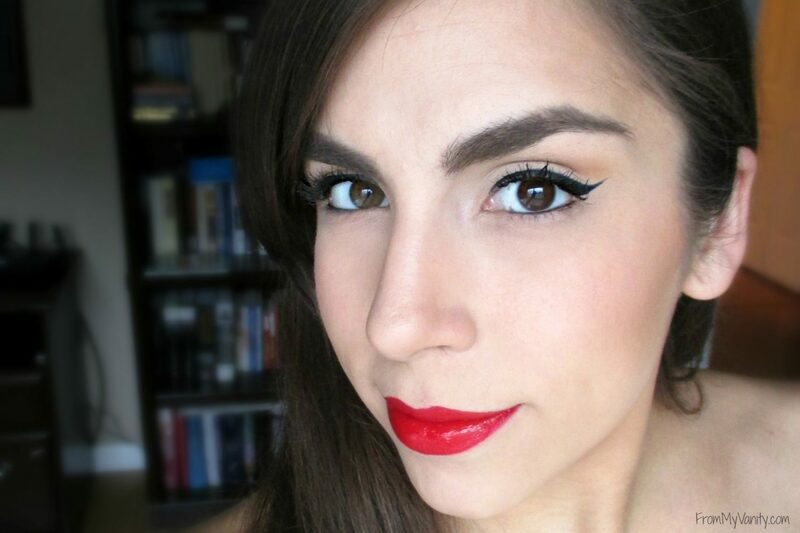 I once had someone tell me that you can’t do a cat eye and a red lip because it’s too competing. We all know she’s a liar. 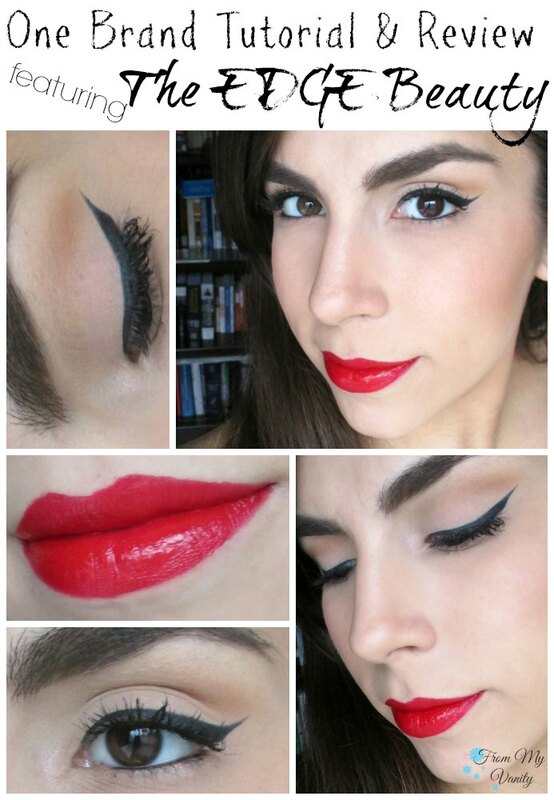 You have a PERFECT eyeliner look! I really want to try this look myself soon! I know, tell me about it! When it first arrived, I couldn’t stop playing with the lipsticks. So much fun to open! Excellent wings!!! Beautifully well done! I’d not heard of Edge and I do makeup artist assisting from time to time, so I’m always open to new brands. Price point sounds reasonable. I do like the fun packaging, I’m a total sucker for packaging. LOL Gorgeous look!!! Oh, I hear you, the packaging totally sucked me in. I was thrilled that the lipsticks were both so fabulous! I really love the whole look. Your skin is flawless! omg, that wing! I absolutely love this look, it’s so classic and pretty! I had no idea Dillard’s launched a cosmetics line, but now I’m interested in checking it out. I think I have to have that red (and for the way it opens). What a beautiful and classic look. These cosmetics look very nice. I guess one day I need to go online to Dillards to check this line out. Yes, Fierce is a show-stopper! I’ve never heard of this brand before but I so need the blush! You might not be a fan of that eyeliner, but your winged liner is looking sharp!!! I mean, that’s impressive, ha!! I had no idea that they had released their own line of products, but now that I know, I’ll have to go and check it out for sure! I always forget how many great brands Dillard’s carries, and now especially with their own! Gorgeous look! Yeah, it’s a fantastic brand! I like to play with the other products whenever I am in Dillards 🙂 Check and see if your Dillard’s carries it in store! If you ever have some spare time when in Dillards, see if your store carries them! The lipsticks are fun to play with, lol, and the range of shades is great! Definitely worth a look-see! i love this line. pretty packaging and great products! Yes, it’s a fantastic line! Oh MY!! What a gorgeous face! And that lip gloss! I’m definitely going to have to try them! Ohh, I love the packaging of these products! Your liner is perfection, do you use tape? I wish my eyes weren’t hooded, its so difficult to get a great wing like that. I use tape a lot (mostly when I’m in a hurry using gel liner) but when I use a felt-tip eyeliner pen I tend to just wing it (no pun intended, lol), as I did this day. Ahh, yeah, I bet that makes it challenging. I’m blessed with a fairly easy eyeshape…besides them just being uneven. For a while I would get so frustrated when doing my wings because the angle I would do one eye with…would be totally wrong for the other eye. But then I finally figured out how to angle it for each eye in order to make them look symmetrical. Ah, the challenges of makeup!